The musicals of Thompson and Russell promote healthy character development in young performers and audiences. 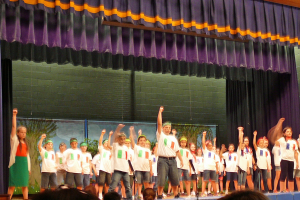 The shows are produced frequently by SALAD, the Student Actors League of Arts and Drama. SALAD is an enrichment program at a public school in central New Jersey. 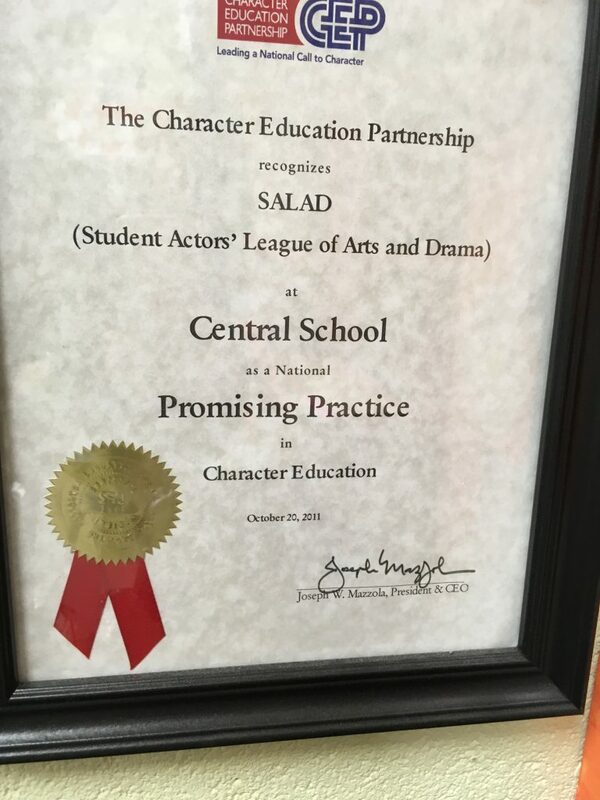 In 2011, the SALAD program was cited as a “Promis­ing Prac­tices” pro­gram by the Char­ac­ter Edu­ca­tion Part­ner­ship. The CEP is a Washington, DC based orga­ni­za­tion of “pas­sion­ate peo­ple advo­cat­ing for integrity, hon­esty, respect, and other core eth­i­cal val­ues to be fused into edu­ca­tion for the bet­ter­ment of our nation.” The CEP cited these musi­cals for the way they “…present a moral and pro­mote char­ac­ter edu­ca­tion … stu­dents view char­ac­ters cor­rect­ing wrong choices and tak­ing healthy steps to cre­ate a sup­port­ive community.” These musi­cals help cre­ate a com­mu­nity and can inte­grate an edu­ca­tional curriculum. The citation can be found by clicking here.